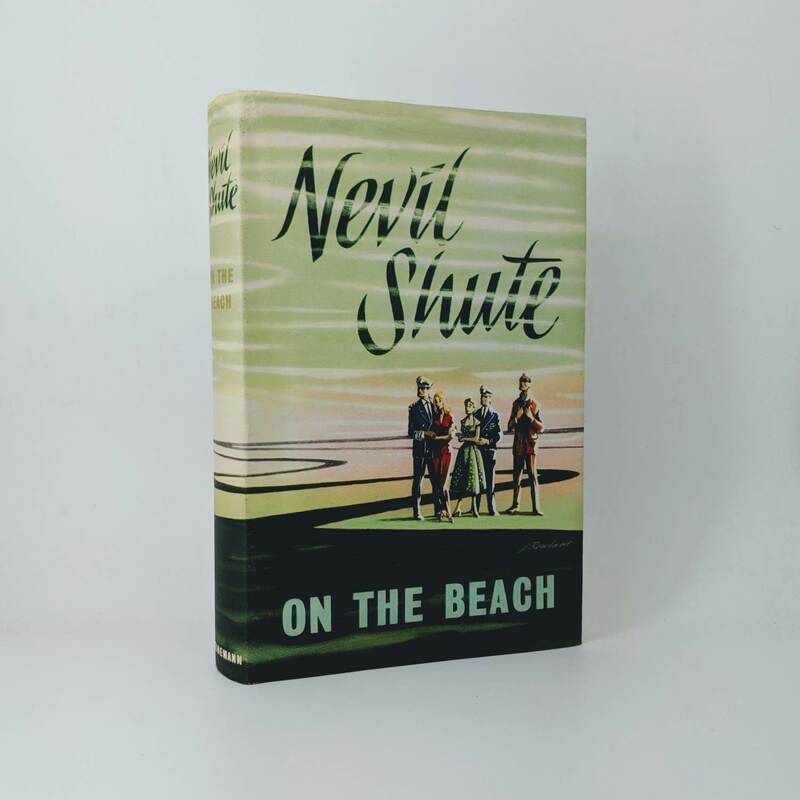 On the Beach By Nevil Shute First edition, first impression (Heinemann, 1957). 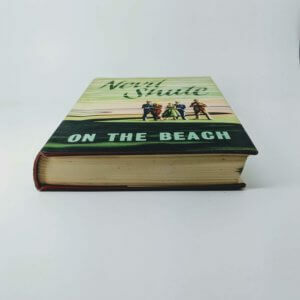 Slight spine slant; sellotape residue to front endpaper with some abrasion to surface; a little light foxing to edges. Boards nice and clean - very good. Original and unclipped dust jacket has some edge wear to the top, particularly to spine head, otherwise nice, bright and crisp - Very good plus.